Among the key sectors that keep South Africa’s economic engine running are manufacturing, wholesale and retail trade, financial services, transport, mining, agriculture and tourism. South Africa’s economy has been traditionally rooted in the primary sectors – the result of a wealth of mineral resources and favourable agricultural conditions. Recent decades, however, have seen a structural shift in output. Since the early 1990s, economic growth has been driven mainly by the tertiary sector, which includes wholesale and retail trade, tourism and communications. 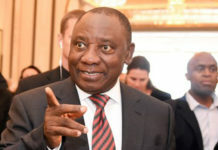 Now South Africa is moving towards becoming a knowledge-based economy, with a greater focus on technology, e-commerce and financial and other services. Among the key sectors that contribute to the gross domestic product and keep the economic engine running are manufacturing, wholesale and retail trade, financial services, transport, mining, agriculture and tourism. Increasingly, the Green Economy is taking prominence as the country moves to cleaner energy production. South Africa is world-renowned for its mining sector, with an abundance of mineral resources, accounting for a significant proportion of world production and reserves with an estimated worth of R20.3 trillion (US$2.5 trillion). The country is estimated to have the world’s fifth largest mining sector in terms of gross domestic product (GDP) value. In 2017, mining contributed 8% to South Africa’s GDP. Mineral reserves include precious metals and minerals, energy minerals, non-ferrous metals and minerals, ferrous minerals and industrial minerals. Only two strategic resources – crude oil and bauxite – are not available. South Africa’s strengths include an extremely high level of technical and production expertise, and comprehensive research and development activities. The country also boasts world-class primary processing facilities for gold, platinum, carbon steel, stainless steel and aluminium. South Africa is also a world leader of new technologies, such as a ground-breaking process that converts low-grade superfine iron ore into high-quality iron units. Mining remains an important foreign-exchange earner, with gold accounting for more than one-third of exports. South Africa is also a major producer of coal, manganese, chrome, platinum, and diamonds. 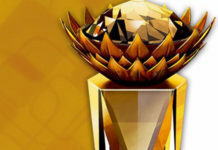 South Africa is the world’s largest producer of platinum and is ranked the fourth largest diamond industry in the world, with only Botswana, Canada and Russia producing more diamonds each year. 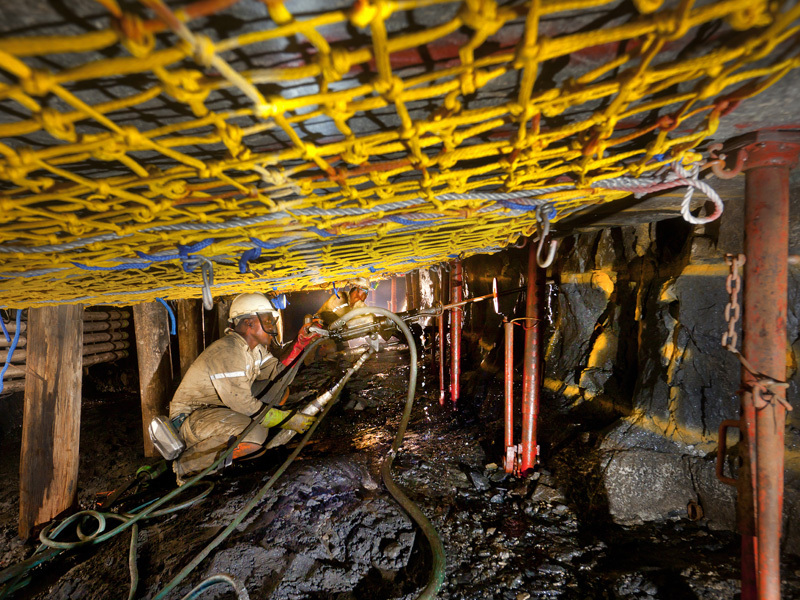 The mining industry, and its related industries, are critical to South Africa’s socio-economic development as it contributes significantly to economic activity, job creation and foreign exchange earnings. While holding the world’s largest reserves of platinum-group metals and manganese ore, the country has considerable potential for the discovery of other world-class deposits in areas yet to be exhaustively explored. South Africa has also shown interest to enter the rare earth mining in the Namaqualand region. Rare earth mining is currently dominated by China, which controls approximately 90% of the world’s available supply of rare earth minerals. Rare earth minerals are of strategic importance as they are the minute particles used in smartphones, high-tech weaponry, electric cars and a host of other electronics. Lucrative opportunities exist for downstream processing and adding value locally to iron, carbon steel, stainless steel, aluminium, platinum-group metals and gold. A wide range of materials are available for jewellery, including gold, platinum, diamonds, tiger’s eye and a variety of other semi-precious stones. South Africa’s financial services sector boasts dozens of domestic and foreign institutions providing a full range of services including commercial, retail and merchant banking, mortgage lending, insurance and investment. 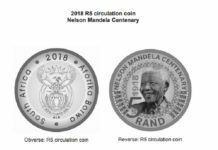 The South African banking system is well developed and effectively regulated, comprising a Central Bank, a few large, financially strong banks and investment institutions, and a number of smaller banks. Investment and merchant banking is competitive. The country’s banking sector compares favourably with those of industrialised countries. 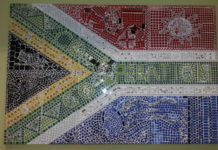 Many foreign banks and investment institutions have set up operations in South Africa over the past decade. Electronic banking facilities are extensive, with a nationwide network of ATMs and internet banking facilities available. For more information on the financial sector, read here. South Africa has developed a diversified manufacturing base that has shown its resilience and potential to compete in the global economy. The manufacturing sector provides an opportunity to significantly accelerate the country’s growth and development. 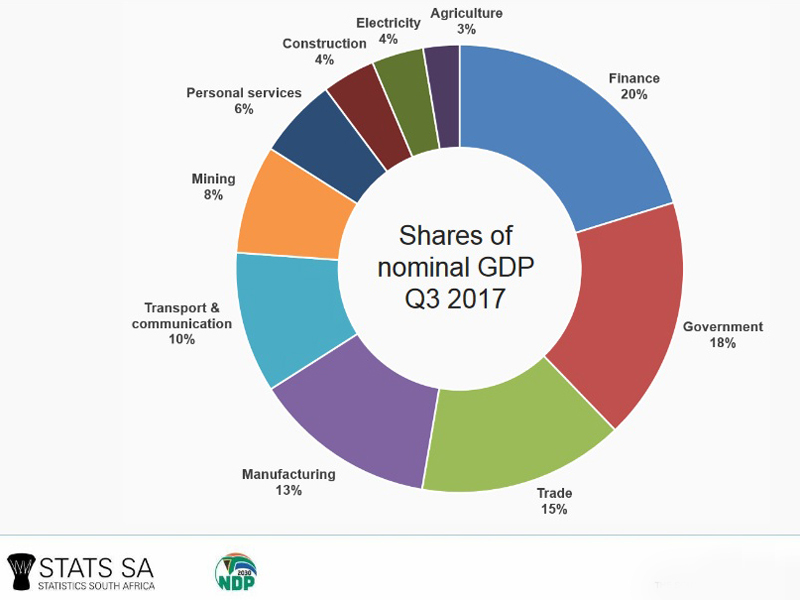 The sector accounted for 13% of South Africa’s GDP (as at Q3 2017). For every R1 invested in manufacturing, there is R1.13 of value addition to the South African economy. Manufacturing is dominated by industries such as automotive, chemicals, information and communication technology, electronics, metals, textiles, clothing and footwear. For more details on the manufacturing sector, click here. Farming remains vitally important to the economy. It is estimated that some 8.5 million people are directly or indirectly dependent on agriculture for their employment and income. Covering 1.2-million km², South Africa is one-eighth the size of the United States and has seven climatic regions, from Mediterranean to subtropical to semi-desert. This biodiversity, together with a coastline 3 000 kilometres long and served by seven commercial ports, favours the cultivation of a wide range of marine and agricultural products – from deciduous, citrus and subtropical fruit, to grain, wool, cut flowers, livestock and game. Maize is the most widely grown crop, followed by wheat, oats, sugar cane and sunflowers. 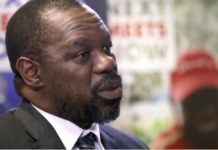 The government has been developing programmes to promote small-scale farming and to boost job creation. Citrus and deciduous fruits are exported, as are locally produced wines and flowers. Government supports programmes to promote commercially oriented small-scale farming as well as support for smallholders on land acquired through land reform. Agro-processing is one of the key industries within this sector, spanning the processing of freshwater aquaculture and mariculture, exotic and indigenous meats, nuts, herbs and fruit. It also involves the production and export of deciduous fruit and wine; confectionary manufacturing and export; and the processing of natural fibres from cotton, hemp, sisal, kenaf and pineapple. The South African agri-food complex has a number of competitive advantages, making it both an important trading partner and a viable investment destination. A world-class infrastructure, counter-seasonality to Europe, vast biodiversity and marine resources, and competitive input costs, make the country a major player in the world’s markets. Tourism is regarded as a modern-day engine of growth and is one of the largest industries globally. In addition to being a labour-intensive industry, tourism holds the potential to drive increases in export earnings in a trading environment that is generally less volatile than that of commodity exports. The World Travel and Tourism Council (WTTC) indicated that travel and tourism in South Africa, directly employs more people than the mining, communication services, automotive manufacturing and chemicals manufacturing sectors. In 2016/2017 In the past year, the three top most visited provinces by international tourist were Gauteng at 4.3 million visitors, the Western Cape with 1.5 million visitors and Limpopo with 1.4 million. Domestic tourism figures put Limpopo in the lead with 8.3 million visitors, followed by Gauteng at 4.4 million and KwaZulu-Natal at 4.2 million. The sector supported 702 824 direct jobs and over 1.5 million total jobs in 2015. By 2026, it is projected that the number of direct jobs created will reach 1 million vs over 2.26 million total jobs that will be supported by the sector. 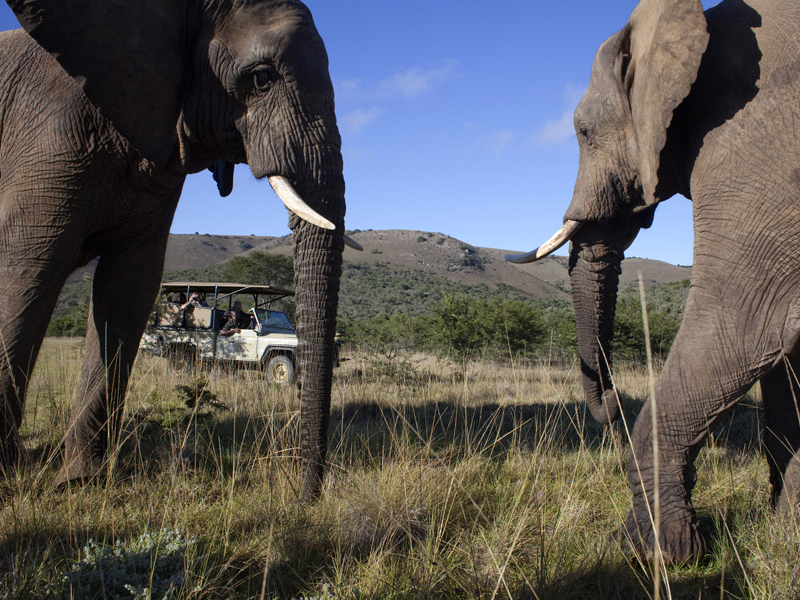 South Africa continues to focus on business tourism as an area with significant growth potential. 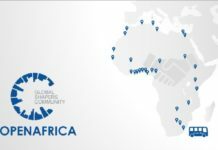 The country is among the top 15 long-haul business events destinations globally, and is the premier business events destination in Africa. South Africa’s advanced infrastructure combined with magnificent scenic beauty, rich biodiversity, sunny climate, cultural diversity and a reputation for delivering value for money experiences, have made it one of the world’s fastest growing tourism destinations. For more information on this sector, read here. Among the major retailing groups are Edcon, Massmart, Pick n Pay, Shoprite Checkers, Mr Price Group, Foschini Group and the JD Group.